Lenovo Z5 Pro GT launched with Z5s during an event held in China. It has 855 Qualcomm Snapdragon in addition to 12 GB RAM. Its price is 45,000 rupees. Due to the speed of the phone, its design has been given racing vibes. The Lenovo Z5 Pro GT has four cameras, two of which are front and two are on the rear side. On Tuesday Lenovo launched two of its smartphones during an event held in China, Lenovo Z5s and Z5 Pro GT (Z5 Pro GT). Lenovo Z5s are in discussion due to its Triple Rear camera setup and Turbo technology, but even more, headlines are Lenovo Z5 Pro GT, the world's first smartphone with 12 GB RAM. This smartphone has been launched with 2019 flagship chipset Snapdragon 855. Qualcomm announced this chipset earlier this month. I.e. Lenovo Z5 Pro GT has become the first such smartphone in the world, in addition to 12 GB RAM, Qualcomm Snapdragon 855. The Lenovo Z5 Pro GT has been launched in several variants. Its 6 GB RAM and 128 GB storage cost 28 thousand rupees, 8 GB RAM and 128 GB storage cost is 31 thousand rupees and 8GB RAM and 256 GB of storage are priced at 35 thousand rupees. At the same time, its top-of-the-line model costs 45 thousand rupees. This model has 12 GB RAM and 512 GB of internal storage. 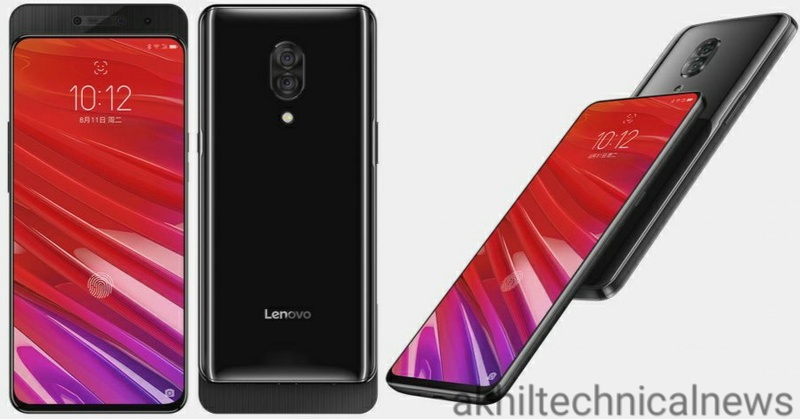 Hopefully, Lenovo Z5 Pro GT will also be launched in India next year. The first Lenovo Z5 Pro GT will be in China and for that, pre-booking will start from January 15. The sale of this phone in China will begin on January 24. Lenovo Z5 Pro GT has a 6.39-inch full HD Plus Super AMOLED display and a resolution of 1080x2340 pixels. Its screen-to-body ratio is 95% and the aspect ratio is 19.5: 9. It has been coated with coating glass for the protection. Since this phone is related to speed, therefore its design also has racing vibes. The memory of this phone can be increased to 256 GB via microSD card. The Lenovo Z5 Pro GT dual SIM supports and runs on the Android 9.0 pi with the company's GUI. Talk to the camera, then the Lenovo Z5 Pro GT has four cameras, two of which are front and two are on the rear side. There is also a 16-megapixel rear sensor, whose aperture is f / 1.8. There is also a 24-megapixel secondary sensor, which has an aperture f / 1.8. There are 16 megapixels and 8-megapixel cameras on the front side. It weighs 210 grams. For power, Lenovo Z5 Pro GT has a 3350mAh battery, which comes with Fast Charging Support.